Finally, with competition to Google for the first time Sony Smart Eyeglass to launch next year 2015. 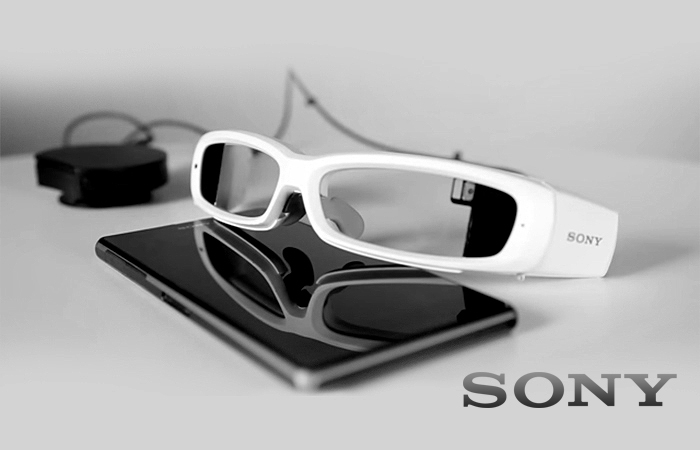 Sony announced the feature and specification of the Smart Eyeglass, this eye glass connects with Android 4.1 and above version smartphones. These accesses to smartphones, data like text, symbols and images onto the user’s field of view. At this moment people are focused to smart watch Technology by iPhone; many other top brands are focused to develop the smart watch technology. Both the smart watch and smart Eyeglasssegments will be likely to see a lot more buzz next year with many top companies. Sony reported on their personal blog that the Smart Eyeglass is supposed to launch in March 2015.Sony also announced that there will be separate software development, particularly for its smart Eyeglassproduct that means Sony is trying to create some different attraction, and the exact information is not yet revealed. The Sony Eyeglass is included with some advanced technology, which is never used in any other eyeglass like transparent lens focusing, CMOS image sensor built into it, accelerometer, Gyroscope, electronic compass, brightness sensor, and microphone. Sony Company said that these features will be enabled together with GPS location information within the connected smartphone, hoping that this device will provide much valuable information as per the user’s current circumstances. And sure in Sony Smart Eyeglass device they will be using their optic technology, to develop a lens of 85% transparency and just 3.0 in thickness. This Eyeglass is included with monochrome display. This smart Eyeglass is fixed with Camera to the left hand with just 3.0 megapixel which supports Bluetooth and WI-Fi for connectivity and other share options as per the installed application. The Sony is going to build with few preloaded applications in the Smart Eyeglass like Cook pad application which gives recipes and other essential app like voice commands app with has become popular in al smartphone devices and the other is a local drive app which give all social information within the users surrounding local area. Next : How To Lose Pregnancy Weight Fast: Easy or Hard?